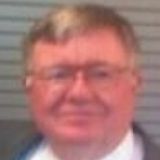 Justia Lawyer Directory Search for "Andrew F. Newton"
Search for "Andrew F. Newton"
I am an experienced trial attorney, with over 20 years practicing law, including felony trials for Reckless Homicide. The majority of those years were spent as a deputy prosecuting attorney where I concentrated on OWI cases including OWI Causing Death cases. In my capacity as a deputy prosecuting attorney I would routinely go to crash scenes at all hours of the day or night. Many times throughout the year I would conduct training for law enforcement officers. This has provided me with a keen insight into and knowledge of the criminal justice system.